Set on the west bank of Llyn Maelog, Ty Hen is located in an idyllic location just a short 10 – 15 minute walk from the award winning golden beaches of Rhosneigr on the west coast of Anglesey. From the park you’ll be able to enjoy the beautiful scenery and stunning views down the Llyn Peninsular with the Snowdonia mountain range in the distance. Established in 1944, Ty Hen is a family run site which is passionate about the environment and conservation in the local area. Since 1999 we have been awarded the prestigious David Bellamy ‘GOLD’ award for conservation. 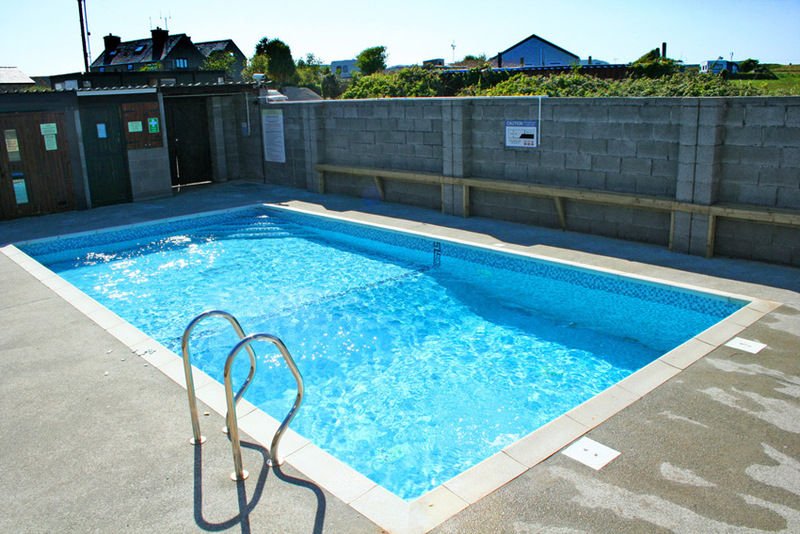 Ty Hen is a smallish site in Rhosneigr that has a total of 80 static and touring caravan pitches as well as a couple of self-catering options. Whether you’re looking to spend a long weekend, a couple of weeks or an entire season in Anglesey, you’ll always be welcome at Ty Hen. Start your day off with a refreshing dip in our heated outdoor pool in the summer months or see if you can take the heat in our coin operated sauna. The pool is completely free for guests of the park and is child friendly with a split level, it is also open daily from May to September. 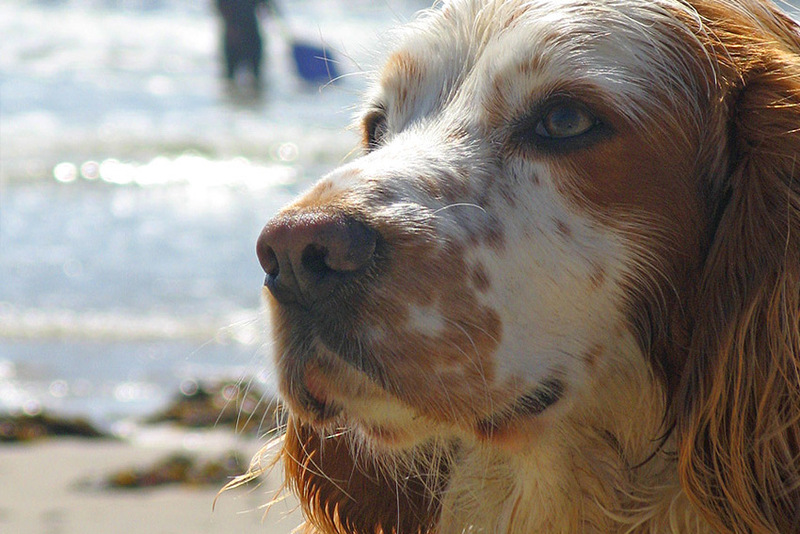 Bring your dog with you when you visit Ty Hen, we’re proud to be a child and pet friendly site. We’ve got plenty of fields and there’s also a network of local footpaths and walks as well as the local beaches which are perfect for exploring with your dog. 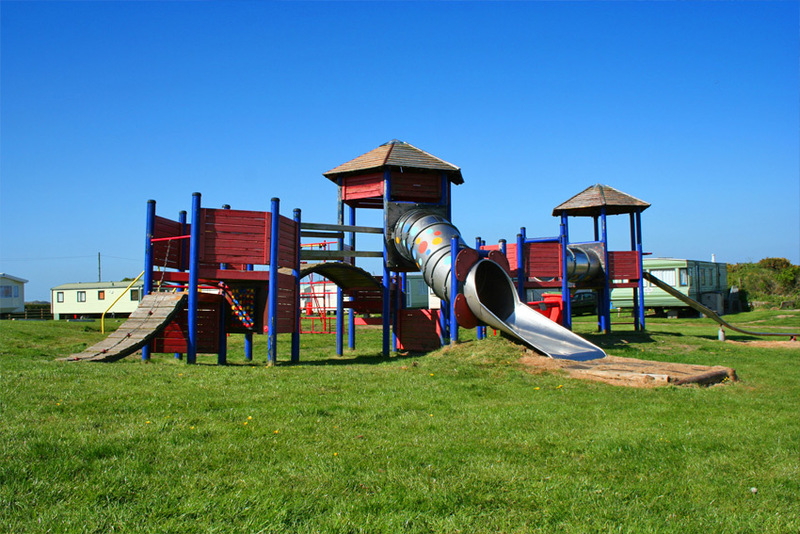 Children will love our play park where they can make friends while playing football, having a game of tag or getting competitive to see who can swing the highest. Your kids will make memories and have a great time on our climbing frame seeing who can hold onto the bars longest or get around the play park the quickest. For safety the park is inspected annually by RoSPA. Don’t forget your fishing gear as on-site we have our own private 1 ½ acre carp lake stocked with Common Carp, Mirror Carp, Ghost Carp as well as Tench, Roach, Rudd and Crucian. 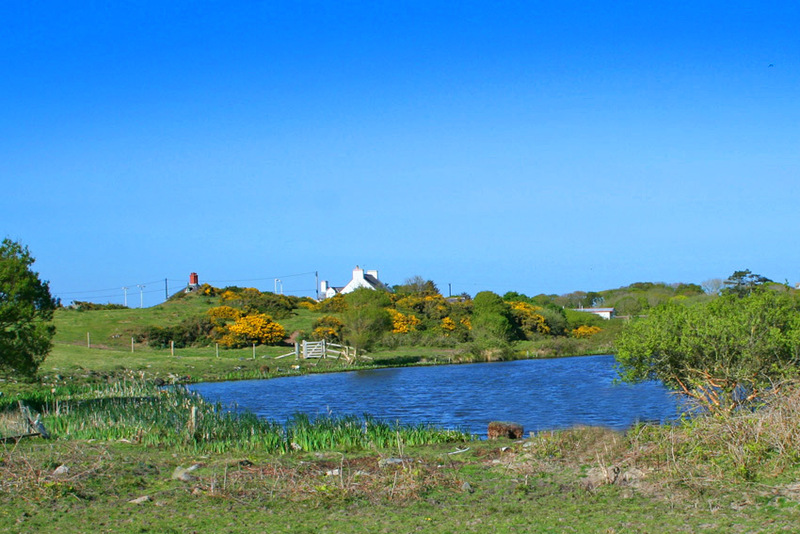 You can also fish along the banks of Llyn Maelog, with a rod licence from the post office, which has a good stock of Perch, Bream and Roach; just don’t let the Pike beat you to them. Divers of all abilities are welcome to join us on a local dive with the Rhosneigr Sub-Aqua Club and discover the underwater world around us. For beginners we can also arrange a trial dive in our swimming pool to help get you started in this amazing sport. Those visiting for longer periods will be able to wash their clothes and keep their linen fresh with our on-site laundry facilities. There are three washing machines and two tumble dryers supplied by JLA and cost just £1 per wash & 50p for 15 minutes in the tumble dryer. There are two toilet blocks on-site, each with free hot showers for the use of guests. The first block is full of character and vintage charm and was built in the late 1950’s. The second block is more modern and was completed in the early 2000’s, together they offer plenty of hot water for all your bathing needs.